Every day deserves a great steak, and Lone Star Steakhouse delivers. We’re committed to providing a unique steakhouse experience, offering one-of-a-kind flavorful food and outstanding service. From the grill to the table, we want your meal to be memorable. Every day deserves a great steak, and Lone Star Steakhouse delivers. 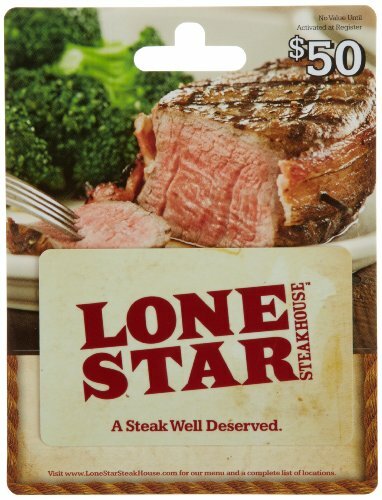 Lone Star Steakhouse is committed to providing a unique steakhouse experience, offering one-of-a-kind flavorful food and outstanding service. 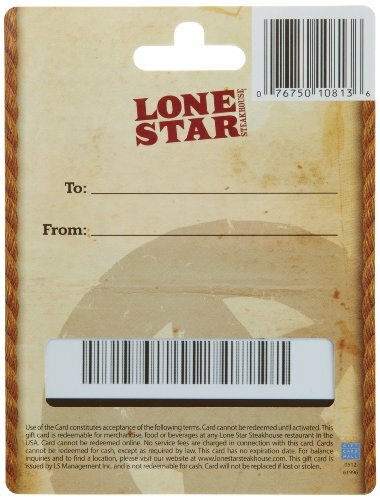 Gift cards may be redeemed at any Lone Star Steakhouse location in the US.